Since this is the month we celebrate Thanksgiving, I’m excited about featuring my new Thanksgiving-themed novel. In A Harvest of Blessing, the two main characters, both in their fifties, meet in a graveyard where they are visiting their dead spouses’ graves. The meeting is based on the lives of a real couple my husband and I met in Pensacola, Florida. It was a second marriage for them, and they first encountered each other when they paid their spouses’ gravesites a visit. Since it was quite a few years ago that we were in Pensacola, I don’t remember the exact details of how the couple met. But never fear. A fictional author is allowed to make up things. So I had to think of a unique way for the two people in my story to meet. This picture inspired me. 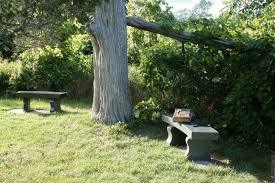 See that bench over there amidst the trees? Well, what if the hero was sitting there, eyes closed, perhaps praying or remembering his wife. The heroine is kneeling at the first marker, distraught that her marriage had ended so badly. 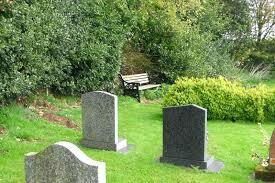 She backs up a few steps to sit on the bench, eyes glued on the grave marker, and falls right into the lap of the hero. Of course, I’m prejudiced, but I thought it would be a cool way for them to meet. I hope you’ll agree.